Here is the last of our 2017 Jaguar XJ XJL Portfolio AWD inventory at Jaguar Colorado Springs! This brand new XJ XJL has a great price tag of just under $80,000. You get a lot for that price – luxury, comfort, technology, advanced features and so much more! Equipped with a 2.0L V6 supercharged engine, you can expect an estimated fuel economy of 17 MPG city/25 MPG highway. In addition to super fuel economy, you will also enjoy great features including adaptive speed control, 360-degree parking aid, Parking Assist Package, Wheel Lock Package, and two LCD monitors in front console. Heated and ventilated front seats, garage door transmitter, blind spot sensors, and so much more are featured on this luxurious sedan. Located on the hill in Motor City near downtown Colorado Springs, Jaguar Colorado Springs is easy to find. 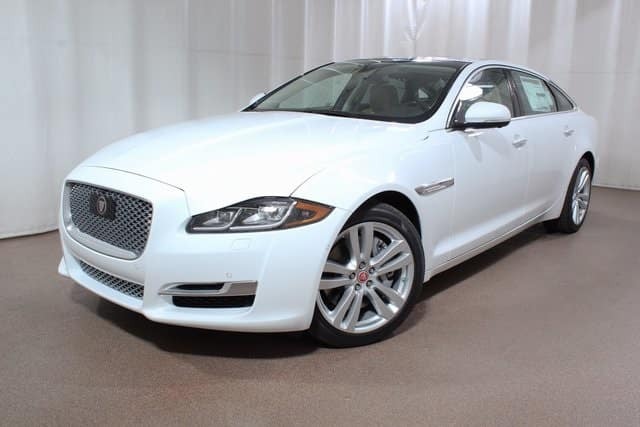 So, come in and check out this beautiful luxury 2017 Jaguar XJ XJL today!